Written by Lauren Cooper on November 28, 2017 . Posted in blog, Retirement Planning. It’s the most wonderful time of the year! 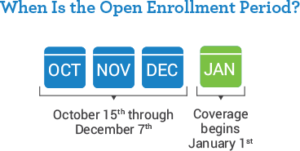 That’s right, Medicare’s annual Open Enrollment Period (you thought I meant the holidays, didn’t you?) Move over sweater weather, turkey and dressing, and time spent with loved ones. Here we are in the middle of that special time of year when current Medicare enrollees can make changes to their existing coverage for the following year. While the complexities of Medicare have been known to make enrollees feel nuttier than your favorite aunt’s fruitcake, we hope to simplify Open Enrollment for those currently enrolled in Medicare and allow you to ring in 2018 feeling confident in your health care coverage. 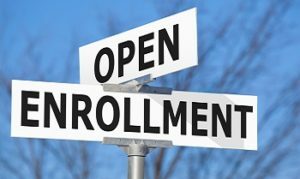 Medicare’s annual Open Enrollment Period (also referred to as Fall Open Enrollment) extends from October 15th through December 7th and allows enrollees to make changes to their coverage for the coming year. The chart below summarizes the coverage changes that are allowed during Open Enrollment. Note that any changes made during Open Enrollment will not become effective until January 1, 2018. If you have been unable to acquire a standalone Part D plan or drug coverage through a Medicare Advantage plan because you did not enroll in drug coverage when you should have, note that during Open Enrollment you can also acquire prescription drug coverage for the first time. Important: Proceed with caution if you are considering a change from a Medicare Advantage plan to Original Medicare and also plan to enroll in a Medicare Supplement Plan (also referred to as Medigap). Those who enroll in a Medicare Supplement Plan during their initial enrollment period (i.e. within six months of enrolling in Medicare Part B) are allowed to enroll in a Supplement plan without underwriting. However, applying for a Supplement plan after your initial enrollment period has passed could subject you to higher premiums, waiting periods, or a denial of coverage based on pre-existing health conditions. If you have a Medicare Part D or Medicare Advantage Plan, you should have received a Plan Annual Notice of Change from your plan provider in September. The Notice details information about your plan for the coming year, such as changes to premiums, coinsurance, or prescriptions drugs covered under the plan’s formulary. You should review the Notice to understand how changes to the plan will affect you. 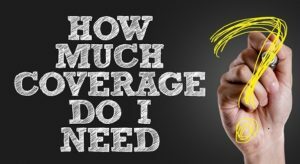 Even if you feel that your current coverage will continue to meet your needs in the coming year, it may still benefit you to research other available plans. You may find that changes made to another plan would result in even better coverage for you. Prior to your search, gather information pertinent to your health care needs that will assist you in evaluating other plans. Prepare a list of health care providers, preferred hospital, preferred pharmacy, and drugs that you currently take (including specific drug names, dosage, and frequency). Medicare’s Plan Finder tool will allow you to search for standalone Part D and Medicare Advantage plans (referred to as Medicare Health Plans on the site) with or without drug coverage that are available in your area. You should also input your specific prescription drug information to identify plans that cover the drugs that you take. When reviewing plans, consider factors such as premiums, deductibles, coinsurance costs, and whether or not your health care providers are included in the plan’s network (if searching for Medicare Advantage Plans). The Plan Finder will also provide each Part D or Medicare Advantage plan’s star rating out of five stars. The ratings are provided by the Centers for Medicare and Medicaid Services (CMS) and are based on five criteria that include customer service and member experience. If you identify a plan or plans that may better suit your needs, it is best to contact the plan directly to confirm the information found on the Plan Finder site prior to enrolling. You can enroll in a Medicare Advantage plan or Part D plan via the Plan Finder web site, or via telephone by calling the plan, or by calling Medicare at 800-Medicare (800-633-4227). You can visit Medicare.gov for more information or call Medicare’s toll-free help line at 800-Medicare (800-633-4227) for additional information. Each state also has a State Health Insurance Assistance Program (SHIP) with counselors who are available to provide free, one-on-one assistance to Medicare beneficiaries and their families. Visit www.shiptacenter.org to search for contact information for your state’s SHIP. If you decide not to make any changes to your coverage, you do not have to take any action and will be automatically re-enrolled in the same coverage for next year. If you do decide to change plans, it is not necessary to contact your Medicare Advantage or Part D plan provider or Medicare to notify them that you are cancelling your existing plan. You will be automatically disenrolled in your current Medicare Advantage or Part D plan before your new coverage becomes effective on January 1st, 2018. What is Fee-Only, Fee-Based, and Commissions? Written by Jeff Jones on November 21, 2017 . Posted in blog, Retirement Planning. Longview wants to make it very clear. Longview Financial Advisors is a 100% Fee-Only firm. Every Longview advisor is a Fee-Only Advisor. We believe this is the most transparent and objective way of serving our clients with fewer conflicts of interest. With the confusion around terms, what exactly does Fee-Only and Fee-based mean? As Zweig noted in the article, Fee-Only has no “official regulatory or legal definition.” Below are a few definitions offered by several credible organizations and sources. Fee-Only financial advisor is one who is compensated solely by the client with neither the advisor nor any related party receiving compensation that is contingent on the purchase or sale of a financial product. Neither Members nor Affiliates may receive commissions, rebates, awards, finder’s fees, bonuses or other forms of compensation from others as a result of a client’s implementation of the individual’s planning recommendations. “Fee-offset” arrangements, 12b-1 fees, insurance rebates or renewals and wrap fee arrangements that are transaction based are examples of compensation arrangements that do not meet the NAPFA definition of Fee-Only practice. A certificant may describe his or her practice as “fee-only” if, and only if, all of the certificant’s compensation from all of his or her client work comes exclusively from the clients in the form of fixed, flat, hourly, percentage or performance-based fees. In a nutshell, a Fee-Only advisor does not sell products. They do not receive commission. There are no trails, kickbacks, referral fees, rewards, lockup periods, or surrender charges of any kind. No compensation is received from mutual fund companies or insurance companies. A Fee-Only financial advisor’s or firm’s compensation is derived directly from their clients. 100%. That’s it. Furthermore, Fee-Only financial planning goes hand-in-hand with being a fiduciary. A fiduciary standard, when applied to a financial advisor, says the advisor has a legal duty to act in good faith and trust, placing your best interest above that of the advisor or their firm. The advisor is ethically and legally bound to act in this manner. You, as a client, must be made aware of any conflicts of interest that arise. The term Fee-Based has muddied the compensation waters, and it is often time used by brokerage and insurance firms. The term sounds very similar to Fee-Only so it’s no wonder consumers are confused by the terminology, but there is a very real difference in Fee-Based vs. Fee-Only. Fee-Based advisors can receive commissions, and those commissions are often referred to as “fees.” The commissions often come from sales of financial products, such as life insurance, annuities, and load based mutual funds. This creates an inherent conflict of interest. For example, is the product being offered to you the best fit for your financial need? Fee-Based advisors must be transparent in how those fees are received and are still required to act as fiduciaries. A commission is a charge when purchasing an investment or selling a product, such as a mutual fund or annuity. A mutual fund commission is usually referred to as a load, and the load may be assessed when the buy is made (front-end load), when the security is sold (back-end load), or while the security is being held (level-pay load). For example, if buying 100 shares of a mutual fund at a price of $50 with a 4% front-end load fee, the investor would pay 4% of the $5,000 total cost, or $200, to the broker/advisor. Receiving commissions does not prevent an advisor from acting as a fiduciary, but brokers only have to meet a suitability standard. This means the investment or product only needs to be suitable for the client’s financial need. The advisor only has to reasonably believe that the product meets the need; it does not have to meet the fiduciary standard thus creating an inherent conflict of interest between the broker and client. In conclusion, there are advisors who fall under each of these three compensation models that act in a fiduciary manner. Unfortunately, there are advisors under each model that also do not honor the fiduciary standard. It’s up to you as the consumer to ask the questions about how your advisor is compensated.